The girls’ varsity water polo team ended its two-game losing streak with a 14-7 victory against the Monrovia Wildcats at home on Thursday, January 26. This win brings South Pas’ season record to 3-2 and overall record to 9-3. From the start of the game, Monrovia had showed that it had improved since losing 12-2 to the Tigers in the season opener. Sophomore Sydney Shettleroe got the game going with a goal early in the first quarter, which Monrovia quickly matched. A pass from Shettleroe to junior Hayden Carlson resulted in an attempt just short of the goal, but Carlson followed her shot and wrestled past the goalie to tap the ball against the back of the net. Following a second Wildcat goal, Carlson found Shettleroe in front of the goal for another point. Monrovia responded, tying the game 3-3. From there, South Pas pulled away with the lead. Another pass from Carlson led to another Shettleroe goal, and sophomore Olivia Hunt also added to the Tigers’ score. Another point each from Shettleroe and Monrovia ended the first quarter with South Pas up 6-4. The Tigers opened the second quarter up by two points as they delivered smooth passes and consistently struggled with Monrovia before both teams were penalized. After two minutes of low-intensity plays, Carlson scored the first goal of the quarter. Monrovia quickly fought back with several action-filled attempts which were skillfully blocked by senior goalie Skyler Ramirez. The Wildcats even demonstrated their team’s cohesiveness through strong passes but lost goal opportunities once the buzzer sounded. Shettleroe was able to overcome a Wildcat on her heels and maneuver the Tigers’ eighth goal. Carlson scored the final goal of the quarter as the home team successfully defended the goal. With a 9-4 lead over the Wildcats, South Pas was able to slow its game down and focus on defense. After two close misses on goal by Carlson, Monrovia found itself in a favorable position after a Tiger exclusion foul. The team’s strong defense kept the Wildcats from getting a good look, and Shettleroe blocked Monrovia’s shot. Carlson scored another goal in the next possession, followed by a fifth Wildcat goal. South Pas committed several other personal fouls that Monrovia failed to take advantage of. Sophomore Jael Osborne scored her first goal of the game and Carlson ended the quarter with a buzzer-beater. Monrovia started with the ball into the final quarter trailing South Pas by seven points. Within a minute, Carlson widened the margin to eight points with a swift goal past the Wildcats’ goalie. However, Monrovia answered back with two clear shots into the Tigers’ goal until Ramirez blocked the third attempt. Junior Sumiko Rudisky scored the game’s final point, concluding the match with a 14-7 lead for the Tigers. 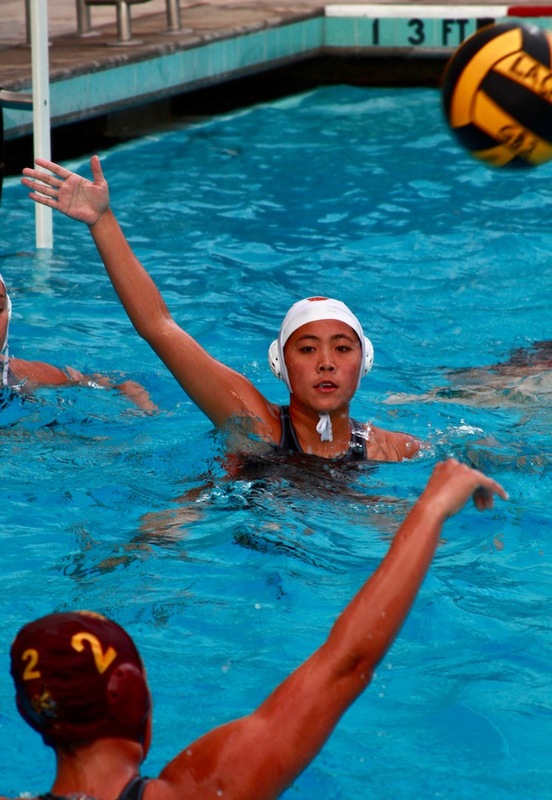 The team will play against multiple schools this weekend in the sixteenth annual Bonita Varsity Water Polo Tournament. The Tigers will kick off the tournament with a matchup against the Righetti Warriors on Friday, January 27 at Glendora High School. South Pas’ performance on Friday determines who and where they play on Saturday, January 28.